The medical cannabis market in Germany has been open for two years now, and projections are it could become one of the world’s largest. However, domestic cultivation is still in development. That’s good news for Canadian companies like Aurora Cannabis, Inc. Right now, Germany imports most of its cannabis from Canada. However, that supply is dwindling. According to an article in Deutsche Welle (please click on the link below), “(Canada has) failed to deliver to all regions in Europe, and Germany for that matter,” said Niklas Kouperanis, founder of cannabis supplier Farmako. German Hemp Association (DHV) Chief Executive Georg Wurth agrees. “At the moment, there’s next to nothing coming in from Canada as companies there are preoccupied with their home market” since cannabis was legalized in Canada for recreational use, he said. Still, the industry could be worth €7.7 billion ($11.5 billion) and €58 ($87 billion) in all of Europe by 2028. Kouperanis believes the future of “local” cannabis growth won’t be in Germany, but in other places such as Portugal, Greece, and North Macedonia, where Kouperanis located Farmako. Wurth, on the other hand, said there is still time to feed a medical cannabis market in Germany with domestically grown product. 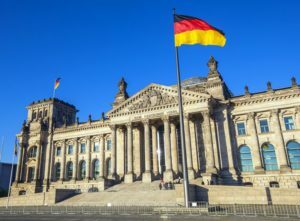 “Had the process been quicker, Germany could have become a crucial location for the cannabis business,” Wurth said. However, Canadian companies are already seizing opportunities in the European cannabis market. Aurora Cannabis, Inc. is one of them. In 2018, Aurora bought distribution giant Pedanios GmbH and renamed it Aurora Deutschland. Besides the medical cannabis market in Germany, the company also has a presence in Denmark, Malta, Poland, and Italy.